In a unique cross-cultural event ‘Awakening of the Serpent Energy’ danseuse Beena Sharma opened a dialogue between her Kathak and Australian Aboriginal dance forms as a living art. Beena traced and compared similar metaphysical concepts in the two cultures and retraced the primordial energy as the life force. She examined Kundalini or Kulini in meditation to Chakras as Dots movements in Australian Pitjantjatjara Rainbow Serpent painting. She conceptualized concentric tantra symbol Bindu as ‘Prana’, representing Ardhanarisvara, and Bindi as ‘Wang’, the crative and destructive serpent. Transcending her body, the Yantra, through the narrative verse as the mantra and the performing act as the Tantra, her Istha Devta Sri Krishna revealed himself. Her caption ‘In Smadhi Attain Karma Yoga’ across cast, creed and colour in Oneness represented the Gita. Tracing Para Shakti during Sahaja Samadhi in the ‘open’ kriya dance and ‘closed’ spiritual jnana, both knowledges transmitted kinetically to the audience at their own level of perception. Heightened awareness enabled Beena to recognize her original birthright. As Bindu or Dot it belonged to non-sentient, sentient beings and as a never-ending cycle remained the eternal truth. On reflection, the diffusion and fusion of male-female energies symbolized Shiva-Shakti and the Rainbow Serpent as ‘two sides of the same coin’ and in Shiv Shakti became one and the same featured in Tantra. Finally, backed by her orientation in Savikalpa Samadhi, she documented ShivShakti as Unity in diversity that surpassed past, present and future. Beena Sharma (nee Paul) is a Kathak dance of Jaipur Gharana and a spiritual meditator. In dance, she took her Guru Diksha from the late Guru Sundar Prasad and learnt under the tutelage of the late Pundit Devi Lal and Pundit Durga Lal of Jaipur Gharana in Delhi. As a spiritual meditator she conceptualized are retraced her own path. Beena is a post-graduate in Sociology from the Delhi School of Economics and MA (Hons) from the school of Occupational, Community and social studies, University of Western Sydney, Australia and a graduate in dance from ‘Prayag Sanger Samiti, the Institute of performing arts, Allahabad, India. Beena has performed in many concerts in India and abroad. Her highest achievement was winning the ‘General category’ in All- India dance music competition in Allahabad in 1969. Since 1973 Beena has traveled extensively, living and performing in the UK, Kuwait, and Australia. She is currently residing in USA. Beena’s upcoming work for a PhD would be the final outcome this decoded process presented in the experiential phenomenology that got intuitively re-encoded into a Yantra Mandala in Nirvikalpa Samadhi that states Aham Brahmasmi…I AM BRAHMAN. Beena has been eagerly searching for a university that would give her the academic platform to express the Mahavakya. India is a mysterious land of deities, faith and devotion towards the Holy Beings having their own significance. The philosophies behind all their worship evolve through mantra, yantra, or tantra, incorporating different idols with different Bhavas or emotions through different methods in different traditions. Mantras, which emerged from Man-nat-iti, are powerful words, which on being repeatedly chanted, generate energy in the body and mind. With the help of this, the mind created images and can envision things. 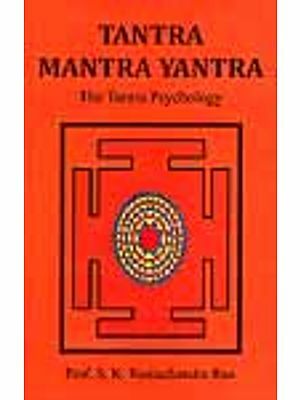 Yantras are mystical and magical sketches, diagrams, and objects that indicate the system of creation. With the help of Bindus (Dots) in the Yantras visualization can also be done. 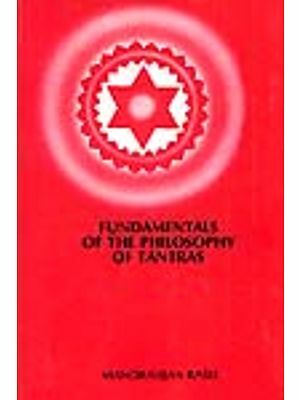 Tantra is derived from ‘Tam-Trayete’ and ‘Tanu-Vistare’ and means that energy that nourishes life nurtures and protects it. ‘Tanu-Vistare’ reflects both spirituality and philosophy. There are many Tantrik traditions in our ancient scriptures and out of them Kaula, Vaishna and Shakti are extensively followed. The Tripur Rahasya (Secrets of Tripura), which is related to the worship of Goddess Lalita, in itself, is an answer to lot of Tantra traditions. 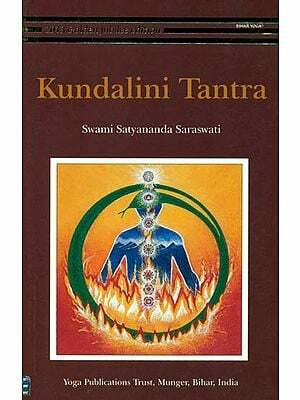 These tantrik traditions are the one which open the paths of ‘Awakening of the kundalini’ (Primordial Residue of Energy). Within the Hindu tradition of ‘Trinity of God’ Lords Brahma, Vishnu and Shiv are the creator, preserver and destroyer respectively. Their main source of energy is derived from their consorts’ goddesses Saraswati, Lakshmi, and Shiva; Lord Shiv and Goddess Shiva are the main source of creation. Shiv is passive without Shakti is active through the entire process of creation, preservation and multiplication. Shiv is Shav without Her. Lord Shiv is known by a multitude of names like Natraj, Rudra, Shankar, Shambhu, Shulpani, to name but a few. His physical structure is envisaged as one with a snake around his neck, the river Ganges falling from the head, a damru (a small hand drum) in one hand and a trishul (trident) in another with Nandi (a bull) as his vahana (vehicle). He is the divinity of life and death and life after death. One can understand these concepts of life and death only after having a profound insight of the clandestine of Yog. Sadhna and Tadatmya with God, which is the final union with the supreme power. But in order to attain this, a Yogi needs to perfect numerous processes of worship and the practice of the Yantra, Mantra and Tantra. Lord Shiva is revered in the form of Shiva Lingam, which denotes te real source of creation. It is a combined form of Prakriti and Purush (nature and divine) and signifies the cause of creation. In other words, we can say that this universe is a part of ‘Jyotirilinga’ and the whole creation is within that ‘Linga’. (In the context to this world, the sky (Shiva) is the Linga while Prithvi, the earth is its base. Everything at last becomes part of that Linga and culminates in it. That is the reason it is called Shiva Linga. While all the devalayas are the dwellings of Gods). The worship of Shiv Linga is not merely confined to India but existed during the eras of Mesopotamia and Mehenjo-Daro. In Babylonia, Turkey, there was, at one time, a Mahalingam of 1200 feet, while the city of Hierapolis had a Shiva Lingam of 300 feet. Even the great religious combined into words and arranged in right combinations (mantra), making a verse (chant). The impact is overpowering, as in chanting of the Hindu Mantra (Om bhur bhua swaha etc; one of the oldest, shortest and most powerful chants) or it’s root word Om. Marshall, A. (2000, p 4), based on five years of performing regularly with Pitjantjatjara people in the central desert, with whom she and her colleagues often lived and traveled, states that, an inma cab be both an open or closed form of performance which becomes the basis for the different levels of performances brought into actuality at a number of different perceptual levels by means of personal and shared group performance experiences (to transform into human, animal or topographical features; the object transforms into subject, at sacred sites or inma piti). Singing the inma includes the past-future, but is also actually happening in the present, through thepresence of multidimensional times. Thus the myths are encyclopedias, no less authoritative than an epic story where old verses come from ancestors inma irititja as do strotams, esoteric, Sanskrit chants, which have been written down, and contain Old knowledge. This has always been. (Sam Pumani 1986, cited in Marshall, A. 2000 p7). I began seeing some such similarity in the process of transformation in myths. This became a focal point of exploration in my research. The best way I could draw a parallel understanding was in terms of explaining the presence mentioned earlier from my point of view. To od this different types of transformation in my performance I began by sending out the meanings or messages experienced by myself. This became a point of reference in the ongoing process of shifting grounds (the tensions and intentions). In my case, it was between my dance performance with a contemporary Aboriginal person and the audience at large. 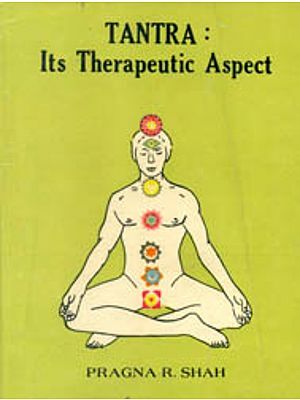 For me, once the connection as an intermediate fell into place, the Bindu (or Dot mentioned earlier) set in motion, came to activate the energy into transformation or change in the performance as a spiraling interpretative pattern which I call Chakras. As these chakras came to network through all the systems-the physical, social, and ecological-they flowed outwards. In my performance I saw them activated in a narrative form, highly charged, as they are in some verses in esoteric mantra and anitji words in Pitjantjatjara, (Marshall, A. 2000, p5) in symbolic forms. Using this circular interpretation of energy as a conceptual tool to perform the connection and transformation (with the help of the natural articles as sun, moon, lotus, thunder, emu etc. as backgrounds activating the energy in a specific direction) the subject I got connected to was my sacred worshipping deity Shiva. I could change into any other form I chose in a different setting. In India, at secret ritual performances during transformations (by activating the energy in a specific direction) a subject a subject can become his sacred deity or change form as in the ‘Ramayana’, where Maricha takes the form of a deer. As another example, an object a stone image (Shiva-linga) becomes fertility personified, or as a symbol of female sepent in the performance I, became a subject in Shiva-Shakti. In this approach, through communal framework or reference that was my structural tool, I demonstrated a narrative myth built on the basis of the original myth (‘Ramayana’ and The rainbow-serpent Ngalyod) such that as a living art it could be understood in terms of energy resulting in synergy as an outcome of interaction between two different systems of dance forms in a new environment. It was an attempt in the present tense, to re-establish experimentally (through the myth and the performance) the lost contact of the past (as in serpent energy) going into the future (cross-cultural) as a never ending process, without a beginning and an end.